But some of their products & publications make extremely bold promises – for example that you can make thousands of dollars per day or more… So are they actually legit, or will Agora Financial scam you & just leave you out of pocket instead? Who Actually Are Agora Financial? 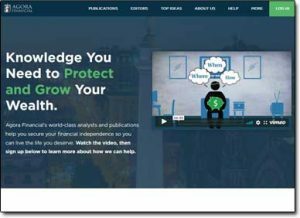 Agora Financial as I briefly touched on above is the publications company that’s behind a number of heavily-promoted investment newsletters, such as The Seven Figure Formula, The Big Book of Income & the Ultimate Retirement Loophole to name a few. Now the main thing that stands out about Agora Financial is the bold promises that their publications often make. They don’t promise you an ROI of a few percent on your investments or anything anywhere near average like that, instead their publications often promise (in one way or another) that you’ll be able to achieve easy wealth. Take the Ultimate Retirement Loophole for example – that particular publication promises that it will show you a way to earn a guaranteed sum of at least $1,500 per month by exploiting a “secret” loophole. However the problem is that a lot of their websites are a little bit “tricky”. For example again with the Ultimate Retirement Loophole, the whole thing is actually just a sales pitch to get you to buy into Agora Financial’s trading program named Income On Demand. In reality there is NO guarantee that you will actually make $1,500 per month. There’s no guarantee you’ll make any money at all… In fact you could end up just losing money, since trading involves a lot of risk. However, the truth is that Agora Financial do indeed have a lot of top financial analysts working for their company – and whilst of course some methods could prove risky, some could also prove lucrative. They make it seem like you’re just going to be getting access to some loophole or secret that’ll guarantee you cash – but what you’ll actually be doing or the risk that’s involved isn’t really overly talked about – or should I say it’s lost in amongst the hype. It’s obvious why they do this, it’s so that their programs attract more people, and it clearly works as I’ve seen several of their programs (like The Big Book of Income) get absolutely massive traction online. 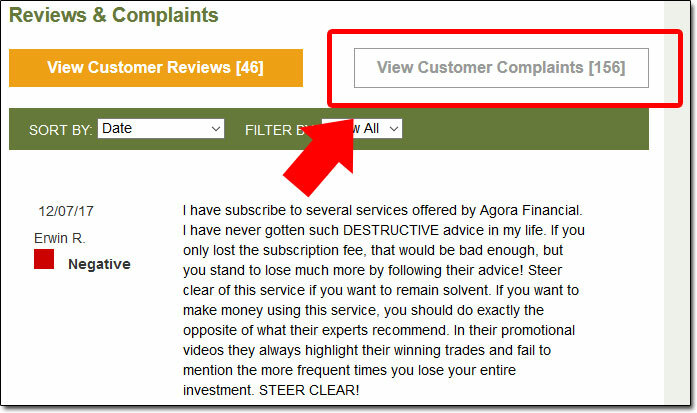 A lot of people have actually come out & called Agora Financial an outright scam, and as shown above in one of the previous screenshots there’s clearly also a lot of complaints about Agora Financial too… So what’s going on? Well the first thing I’ll point out is that Agora Financial is NOT a scam. However, I believe that the primary reason that people are saying bad things about the company (despite them sending out advice from top financial analysts) is because, like I said above, their marketing is pretty “tricky”. Many people will be buying into Agora’s publications not really knowing that they are just going to be getting access to a newsletter or something. They probably think they’ll be getting access to a “push button” money maker or something which simply isn’t the case. As a result after handing over their cash & finding out what they’ve really received they’ll naturally head to a complaints website & call them every name under the sun. The truth is that yes you CAN make money as a result of following the advice from Agora Financials publications – after all like I say they have been put together by some of the worlds top financial analysts… But, at the same time you could also quite easily lose money too. Also – when it comes to making more money, you can generally assume more risk… For example an investment with a promised ROI of say 3-5% would likely be pretty darn safe… However try & boost that figure to anything above 20% and the risk will likely start to rapidly increase. Think about it – if it was really so easy to get such a solid ROI then everybody would be just living off investments, nobody would be working a job! Trading naked options can be attractive when considering the number of potential winning trades versus losing trades. However, do not be taken in by the lure of easy money, because there is no such thing. There is a tremendous amount of risk exposure when trading in this manner, and the risk often outweighs the reward. So yeah, Agora Financial is NOT a scam – but in my opinion some of their sales pages can be a little misleading. Should You Invest In Agora Financial Then? Well obviously you have to make up your own informed choice as to whether or not you do decide to invest, but basically I think you just have to take their marketing with a pinch of salt & look at it for what it really is. If you think you’re just going to be getting access to some sort of push-button way for making money, then no – you probably shouldn’t invest. But if you understand that you’re just going to be getting access to a newsletter with suggestions & picks, and that’s something you’re interested in – then I guess there’s no harm in trying providing you have the money to spare. I mean at the end of the day Agora Financial is not an outright con by any means. If you sign up to a newsletter, they will indeed provide you with that newsletter & the bonuses as promised… So you’re not just going to get “scammed” if that’s what you’re worried about. They’re definitely legit in that sense. Ultimately the reports, as stated, are indeed produced by the expert financial analysts which include people like Paul Mampilly, Greg Guenthner & James Altucher – so whilst risky, you’d like to think it’s educated risk. My Verdict – Is Agora Financial Legit? The answer to that is an easy one – yes, Agora Financial are indeed legit… They sell newsletters & publications produced by expert financial analysts & that’s exactly what they deliver to their customers. However I will admit though that like I’ve said several times throughout this review that in my opinion their marketing can be a bit “tricky” or should I say misleading & as a result customers may find themselves disappointed with what they actually receive. There is also the obvious fact that you could end up losing money as opposed to making it as with investments (especially ones that boast high ROI’s) there is often a great deal of risk involved. What I will say though is that in my own opinion I don’t be believe that aside from trading there are several better ways to make money online – ways that consists of next to no risk yet could produce the same returns. One of the best ways I’ve personally come across in all my years of being online is something called affiliate marketing & if that’s something you’re interested in finding out more about you can do so at Wealthy Affiliate. 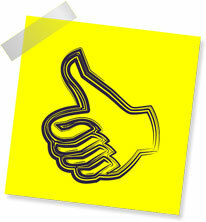 In fact I’d very strongly recommend you do check that out before you leave because it is a VERY good way to make money.